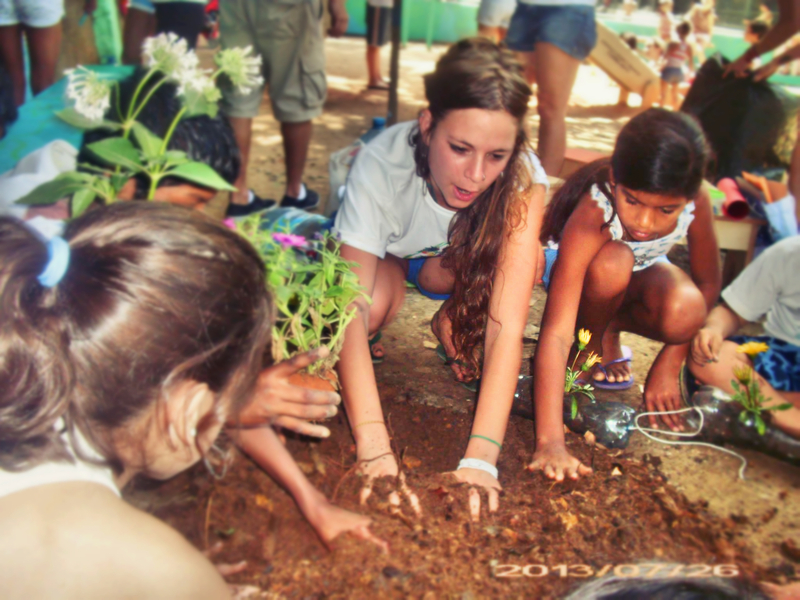 The event also included painting activities for children, a vertical garden as well as planting native species of the degraded Mata Atlântica Rainforest. Gabriel mentioned, “We counted on the participation of more than 100 residents who were quite pleased with the results. We area also supporting the electoral commission that is registering residents door to door in order to reactivate the residents’ association of Vila Laboriaux and Vila Cruzado (AMAVL ). We hope that the residents’ association and our activities will grow increasingly stronger and more dynamic so that together we can build the strong Laboriaux we all want! We continue moving forward!” Movement Laboriaux Preserves is another example of the unity and love that exists in Laboriaux, a sub-neighborhood of Rocinha that since 2010 has proven to be one of the most organized and mobilized communities in Rio de Janeiro, overcoming forced eviction and stronger by the day. Thank you Movimento Preserva Laboriaux and all residents who contributed!